I am inspired – the hunt is on and I’m asking for your help. Please keep your eyes wide open and email me any pics you find of StockPhoto Man doing his thing. I would like to put together a CV of sorts for him – a tribute to his many guises. 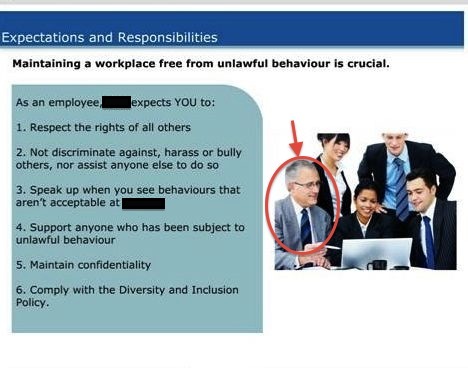 So far, we have Camino Trekker and Corporate Colleague (endorsing lawful behaviour)…but I think the sky is the limit for our StockPhoto Man…who knows where will he turn up next? We see you, StockPhoto Man. Posted in Sparks at work, WWWhat? Have you got ASIO on the case, too, Sparks?